To be honest, mere thought of not seeing my son even for a day sends shivers down my spine. I really salute those parents who have a heart to stay away from their kids..
You might judge me here, but I know one thing for sure that it’s my complete responsibility to become available to my child mentally and emotionally 24/7 at least until I know he is ready for himself … I can not hand him over to an Academy/school to take care of him.. I understand parents are not trained experts to know the best of all but they surely know the needs of their child better than anyone else. If I have an issue of any kind with my child .. I would rather seek help locally rather than sending him away to boost his confidence..
At the same time, I also admit that all parents want the best for their kid, so if at all parents are consdering sending their kids to a boarding.. There has to be some good in it…. Why do parents even consider boarding schools? These are some of the reasons I feel justifies parents decision of sending their kids away at boarding.. If a couple is going through a rough phase, it reflects on the child’s behavior, In a scenario like this boarding can be considered to avoid the child getting effected by parental fights or unpleasantness at home. In a situation of divorced or separated parents.. rather than letting the kid stay with one parent, they might consider boarding as a healthy option again. 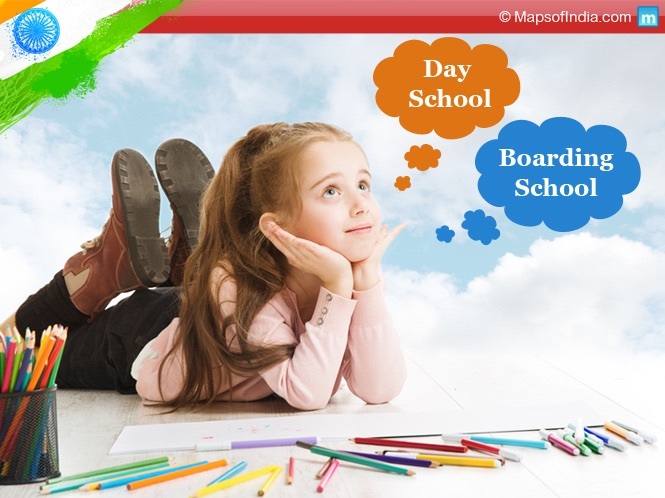 Boarding schools might come as a relief for Parents who are intensively involved in their professional life and careers and cant devote enough time to the child. Also Parents who move frequently due to the nature of their jobs.. might choose boarding school as a consistent option for their kids education. Some kids themselves come up with an idea of going to a boarding school and show keen interest, here the prerogative lies on the parents to decide for the kid but it makes the decision making easier. Some parents might also decide on sending their child to a boarding if the child is boisterous and has disciplinary issues.. it saves parents from nagging behavior towards kid all the time. Well in any of the above scenarios, if parents are considering boarding school for their child.. they must not rush into decision making and consider the following tips before a go ahead..
1. Do not force your decision upon your child, communicate with your child about the school, its advantages and disadvantages.. let them express how they feel about the whole idea of boarding, let them come up with questions and clear all their doubts and hesitation about staying away. 2. Visit the school along with your child, let them interact and see for themselves how they like the environment and do they see themselves as becoming a part of school. 3. At any given time, if child expresses sorrow or feels that he is being punished for their bad behavior in the past… attend to it with empathy and let the child understand how this decision will pay him in future. 4. Know your child, think for yourself if the child has the tendency to adapt to new environment. Is your child emotionally strong or needs you around for every little thing? Does the child mingles up and feels comfortable even when away from you or just cant manage without you. 5. Will the child be able to take the pressures of performing academically or succumb to the strict rules and regulations of the boarding schools. If at all Parents consider boarding schools … What’s the right age to do so? Parents play a very important role in a child s life, be it at any age .. parents are the complete support system for their child and means world to them, So as soon you try and take them away from you actually you are punishing them for no fault of theirs… Still if you decide to do so in any given situation. Primary school children should not be pushed into a boarding, they need you the most during the formative years of their childhood. However joining a boarding at secondary level is still ok. students at this level are slightly older to get accustomed to a new environment and start to learn to live on their own. 1. Boarding schools provides with all sorts of extra curricular activities and gives great exposure to sports apart from focusing on academics. This limits our choices when we talk of kids going for regular education. 2. Most importantly kids learn to become self reliant and understand personal responsibility. Of course at home they have all the liberties of doing things as per their moods and wants .. Most of the kids turn a deaf ear when it comes to household chores. 3. Kids develop some real good social skills and manners in order to get along and fit themselves in the group as they have no where to hide from. Kids at home are surrounded by distractions like TV, video games, phone ipads that it leaves no room for developing social skills. 4. Kids at boarding schools end up making some real good friends for life, as they are the support system for each other. This does not happen otherwise as kids can find friends in parents if nothing else works for them. 5. The strict rules at boarding schools focus on discipline, character enhancement, overall personality development which leads to a structured way of life. Children at home have the liberty to break rules if at all there are any. 1. Every kid is not meant to be in a boarding school. Many kids cant survive the constant pressures and the strict rules of the school and have hard time adjusting which can be highly stressful for the child. 2. For some kids, the separation anxiety from home and family can lead to a feeling of abandonment and cause frustration and homesickness. 3. Shy and introvert kids can feel very lonely which can lower kids self esteem and lead to depression/social isolation. 4. Kids grow up before age.. as they are exposed to various thought processes at an early age. 5. Boarding schools can be very expensive, not every one can afford it. especially the real good and famous ones can be heavy on parents pockets. 6. Kids can get addicted to bad habits like drugs, alcohol, smoking as not all schools are vigilant enough to watch kids every activity. 7. Boarding school kids have high standards set for themselves which might come as a disappointment when dealing with the real world. 8. Parents miss out on some significant years of their kids life, not knowing the details of their life away from home. 9. Even kids lack the bonding with their parents and family members and become detached as ultimately they learn how to be on their own. 10. Dealing with the opposite gender can be uncomfortable and problematic for some who doesn’t opt for co-ed boarding schools. 1. Find out with other parents who are also considering sending their kid to the same school. They might have a company until they make new friends. 2. If your child is homesick, avoid calling him too much over the phone or visiting him often, it will make it more difficult for him. 3. Ensure your child feels safe and you as parents will always be available to him if needed. 4. Don’t express your feelings in front of them, that you are going to miss him too much ..rather talk of things you plan to do once he is home. In my personal opinion, I feel times have changed and today’s parents are much aware and have become more involved in child’s affairs… An healthy involvement of parents can lead to an all round development of a child even at home. Interesting post. I personally cannot imagine sending my children to a boarding school. We as parents, have such limited time with them growing up, why limit that? You won't get it back. Thanks for sharing your views on the article! I absolutely agree that we must make the most of the time we get to spend with our kids. It's priceless. Thanks for dropping by. Hope to hear from you on my future posts too! You have a great day???? Is dressing up unaesthetically is misconceived as Fashion ? ?